There is good science, bad science & PR for the pharmaceutical industry ~ Vaccinations; are your choice, make an informed one. The scientific approach changed during the second world war. The war demanded something more urgent and goal directed. New weapons needed to be manufactured and new technologies invented to aid soldiers in the battlefield. Physicists had created sonar, radar , chemists had produced chemical weapons etc etc. The undisputed crown jewel of this targeted effort was the atomic bomb which brought the war to an end.As the New York Times put it the day after the bomb was dropped on Hiroshima; “gone were the tweedy prima donna university professors wandering about in search of obscure truths, driven by the mere desire to satisfy curiosity. This may work for commercial objectives however the reality is the history of medicine is replete with many examples of “cures” optioned years, decades even centuries before the mechanism of action was understood by experienced practitioners observing patient responses. 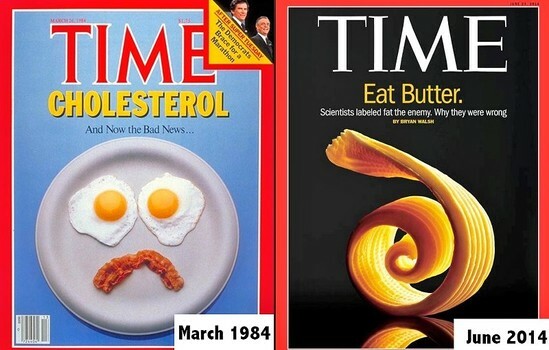 For years scientists have been telling us to stay away from saturated fats, now they say its not fats its sugar that is dangerous. 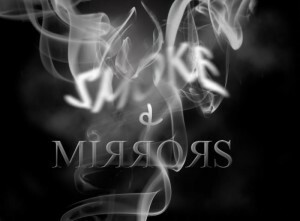 Probably the biggest “silent killer” is smoking? 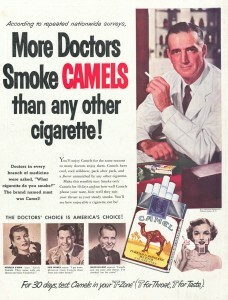 Yet right up to the mid 50s the cigarette industry used the medical profession on TV to promote the health benefits of smoking. 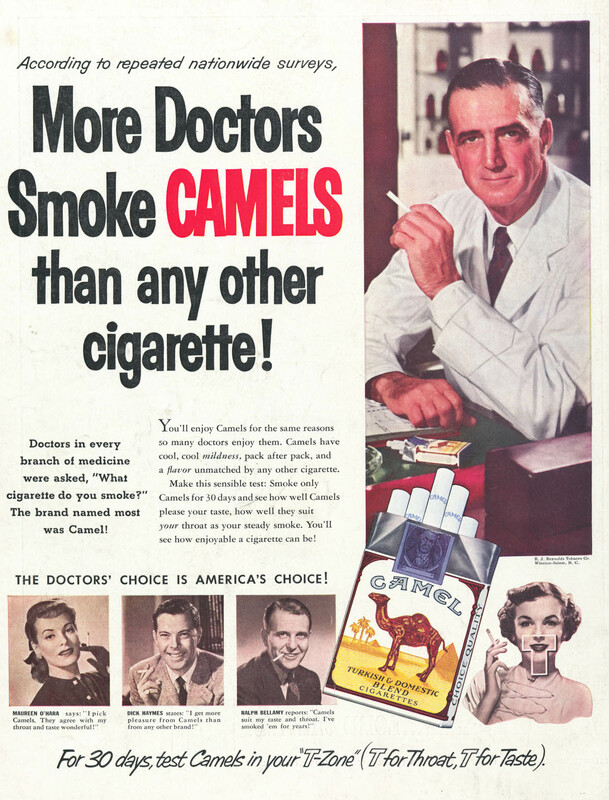 The advertisements suggested that the individual physicians’ clinical judgment should continue to be the arbiter of the harms of cigarette smoking even as systematic health evidence accumulated. The smoking industry would continue to solicit physicians and scientists with materials disputing the relationship between smoking and disease and would also seek out physicians who doubted the harmfulness of cigarettes in order to undermine emerging scientific findings, that smoking caused cancer. The American Medical Association remained loyal to their generous sponsor would not publicly acknowledge the harms of cigarette smoking until 1978. I wonder if one day we will say the same about “one size fits all”mass vaccination programmes? 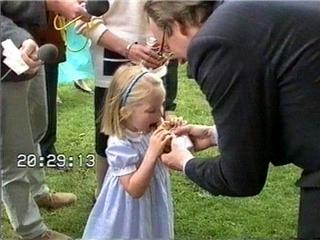 “After taking advice from leading scientific and medical experts, he had no hesitation in saying that “beef can be eaten safely by everyone, both adults and children, including patients in hospital” Sir Donald Acheson 1990. At least 32 people died from CJD others would have had neurological damage from contaminated beef. Dr. Richard Horton editor of the Lancet, one of the most well respected peer-reviewed medical journals in the world recently published a statement declaring that a lot of published research is in fact unreliable at best, if not completely false. This is quite disturbing, given the fact that these studies are used to develop drugs/vaccines to supposedly help people, train medical staff, educate medical students and more. He went on to say that journal editors aid and abet the worst behaviors, that the amount of bad research is alarming, that data is sculpted to fit a preferred theory. So would the medical establishment suppress information in a study that did not correlate with their beliefs and the outcomes they were looking for to conclude a vaccine was safe. This 5 min news item says they would. Evidence released in 2014 show how adverse effects of Tamiflu could have been avoided and billions wasted by health services, trying to protect against bird flu, if all the data had been made available. Cochrane Collaboration, a London-based nonprofit, shows that a significant amount of negative data from the drug’s clinical trials were hidden from the public. Newsweek reported that The Food and Drug Administration (FDA) knew about it, but the medical community did not; the U.S. Centers for Disease Control and Prevention (CDC), which doesn’t have the same access to unpublished data as regulators, had recommended the drug without being able to see the full picture. When results from those unpublished trials finally did emerge, they cast doubt over whether Tamiflu is as effective as the manufacturer says. Coulter deconstructus a 1990 study: “Risk of seizures and encephalopathy after immunization with the diphtheria-tetanus-pertussis vaccine”. They evaluated 38,171 children who had received 107,154 DTP immunisations in their first three years of life. They state only two children suffered encephalitis and onset was more than two weeks after the vaccination. They concluded it was not related to the vaccine. They reported 277 other children had seizures, 42 had a febrile seizure and 37 had seizures associated with other acute neurological illness. The study concluded that there was no evidence of a significant link to seizures and encephalopathy after immunisation with DPT vaccine. The study is a retrospective study of patient Medicaid records and the National Vaccination Information Centre (NVIC) estimates that reporting accounts for only 10 per cent. of adverse events. In fact, in the study adverse reactions were identified in 1187 children, 3 per cent. of the group, a sizeable figure in view of underreporting. Here is another study that concluded the DTP vaccine was safe, despite the fact five children died within 24 hours of having the vaccine?? Or This 30 minute presentation on misinformation about vaccine safety So when someone asks you for scientific evidence tell them. Scackets Model of Evidence Based Medicine (EBM) is supported by three pillars because he recognised the limitations of only using published data. The other three are an experienced practitioner that you trust, your (the patients) previous experience. Tagged Asbestos, bad science, BSE, Cover up, data supressed, DTP, EBM, evidence scientific, evidence smoking, Harris Coulter, John Gummer, NVIC, pharmaceutical industry, research, Richard Horton, Thalidomide, under reporting adverse events, vaccine manufacturers. Bookmark the permalink. Thank you for this. As a mum of three who has never felt right about vaccination, I reluctantly vaccinated my two daughters. I tried to find out beforehand if I could source unbiased information but it was hard to know which sources to trust and I mean both ant vaccination positions and also the official pro vaccine literature. Most mums I knew seemed to vaccinate on the trust of the medical profession and someone even inferred that me questioning it at all was absurd when medical professionals with many years of training were saying it was the best thing to do. Now my son is facing vaccinations at 12/13mths -namely MMR and some other vaccines. I think it was the MMR that made me stop and take stock and research again. This time, I’ve realised that the safety studies so often quoted as proof these vaccines are safe are funded by pharmaceutical companies and that the safety data and way the trials are conducted are often skewed to obtain the “correct” result. Truthfully, I find it hard to leave behind the mind set that if I vaccinate I will be protecting him and others from harm but I am working on it and your site has named sources and scientists that I have come across in my reading so far which suggesting that vaccination is not all it is portrayed as. Until I feel sure I’m doing the right thing, none of them will receive any more vaccines and I’m not sure on the evidence so far that I’ll ever feel right about it again. I fear that we are headed like the US towards mandatory vaccination here in the UK and I sincerely hope that day never comes. Whilst the vaccine industry and pharmaceutical companies have so much influence on health policy and with governments, I don’t think we can afford to trust either with our health or that of our children.